Frightening? Yes. Impossible? Not at all. Medical identity theft is on the rise and it can not only have crippling effects on your finances but can seriously put your health in jeopardy. The Medical Identity Fraud Alliance, a group of concerned corporate and non-profit partners, speculate that over 2 million Americans were put at risk of medical identity theft in 2014, a figure that leaped 22% from previous research. This doesn’t even take into account the nearly 80 million individuals affected by the Anthem data breach in 2015 – the country’s largest healthcare breach. Financial fraud such as a stolen credit card can be frustrating, but can be quickly resolved since it’s easier to detect, and often doesn’t have significant long-term financial impacts. Medical identity fraud, on the other hand can cost a victim $13,500 on average and be notoriously difficult to resolve. Because of advancement in electronic communication and collaboration in the healthcare industry, PHI is more exposed and accessible. At the same time, this doesn’t always mean that your health provider is on the same page with your insurer. PHI is rarely tracked across multiple networks and this gap can make stealing and using it feasible. Carefully read all correspondence from your medical provider and Health Insurance Company. Treat each line item like you might for a bank statement and ensure that each charge or claim is valid. Safeguard your Social Security number and healthcare data. Make sure that when you provide it, it’s absolutely necessary. It’s always okay to ask. Avoid putting medical procedures and hospital stays on social media. You never know who’s looking and this piece of data could be the last one that the thief needs to commit their crime. Our identity protection program provides comprehensive, proactive monitoring for several data points, including your medical information. To learn more about how we can help you minimize your risk of medical identity theft, visit https://optimatax.idprotectiononline.com/enrollment/. Parents do their best to keep their children safe. They advise them to wear a helmet when biking, avoid talking to strangers, and look both ways before crossing the street. But there’s one type of danger that’s hard to avoid. A recent study indicated that up to 10% of America’s youth have potentially been targets of identity theft. The large majority of children under the age of 18 have blank credit profiles which make them uniquely valuable to identity thieves. There’s no credit profile established, children’s social security numbers can be paired with any name to buy cars, apply for loans, open credit cards, or procure driver’s licenses. What makes child identity theft particularly troubling is that it can go unnoticed for several years leaving a complete financial disaster for the child when they turn 18 and begin applying for student loans, credit cards, mobile phones, or an apartment. If the incident occurred years in the past, it can be virtually impossible to track down the criminal. How does this happen? 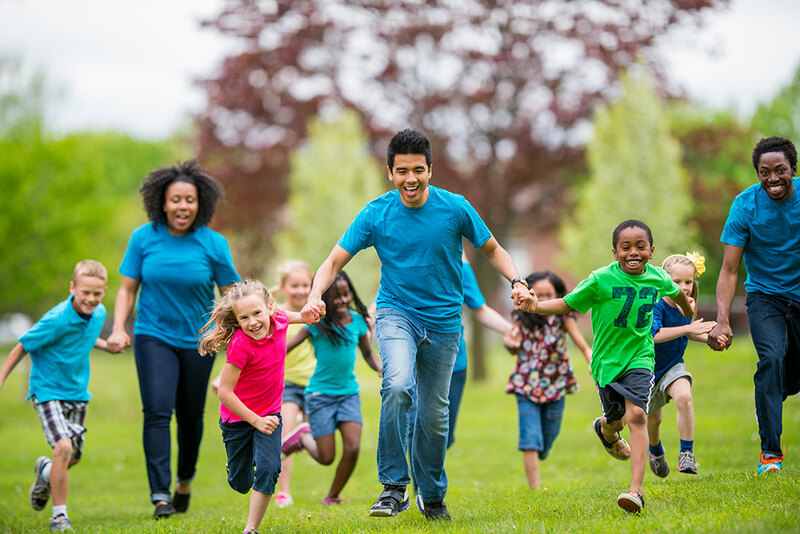 Even more so than adults, children’s Social Security Numbers (SSN) are used frequently as a form of identification at schools, doctor’s offices, and any number of extracurricular activities. If a child’s SSN is easily accessible in a written file or on an unprotected computer network, it could be targeted by identity thieves. Additionally, credit bureaus do not have checks in place to verify the age on credit applications. An individual’s credit profile begins when the first application is received. If the application says 26, then the credit bureaus will assume that’s true. If your child’s Social Security Number is being requested, it’s always okay to ask why it’s needed and if it’s completely neccessary. In most cases, an alternative identification number can be created. don’t carry your child’s Social Security card with you. If your wallet or purse is ever lost of stolen, this could cause some big problems for you both in the future. Shred or destroy any documents with your child’s SSN, such as medical or school records. If they need to be retained, make sure they are kept in a secure location. Talk to your kids about the importqance of identity security. Let them know that they should never share their phone number, address, or SSN with anyone unless there’s a parent present. Keep an eye out for suspicious activity. If credit card offers are arriving at your house with your child’s name on them, it’s a good sign that something isn’t right. Once a year, ensure that your child’s credit is untouched by attempting to pull a credit report from any number of free credit report sites. If your child’s credit is secure, the credit bureau will not be able to provide a report. If you do request a credit report and one is returned, you should take immediate action. One of the best ways to protect your child’s identity is to enroll them in our family identity protection program. You can monitor your child’s date from your own dashboard and receive an alert if any suspicious activity takes place by enrolling in Optima’s Family Protection Plan at https://optimatax.idprotectiononline.com/enrollment/. The warm weather is finally here and with it comes the busy travel season that so many people have excitedly been anticipating. Some have been planning for months in advance, booking flights abroad and hoping to fit as many countries as they can into their itineraries. Be cautious of being a target for identity thieves before you start to head out on your summer adventure. Travelers are an extremely attractive target for identity thieves, especially if you’re traveling to a place you’ve never ventured to before. Any locals – or scammers! – can probably pick up on this. Many travelers also rely on public Wi-Fi to look things up pertaining to their trip. Add to this the fact that you are likely carrying around more documentation than usual, and you’ve got all the makings for a sizable bull’s eye on their back. An American Express Spending & Saving Tracker revealed that 8 in 10 Americans have summer travel plans, with 72% of these planning stateside escapes and 15% traveling overseas. No matter how you dice it, there’s going to be a lot of movement in the skies and on the roads in the coming summer months. With millions of people packing their bags and leaving their homes for adventures, retreats and getaways, there will surely be an uptick in opportunities for identity thieves this summer. 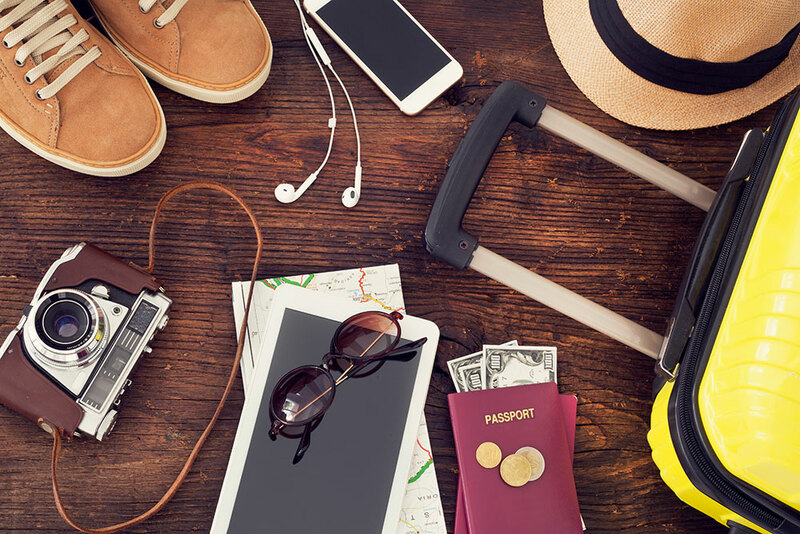 Experian’s Summer Travel and Budget survey showed that identity theft personally affects nearly one in ten travelers and that one in five people have had sensitive information lost or stolen while traveling. Check for any travel warnings or alerts for your destination country. The Department of State provides the latest security messages. It’s always best to be in the know about any crime – such as pick pocketing – happening in your destination country so that you can be as vigilant as possible. Put only your last name and phone number on your luggage tags. Your full name and address are one too many personal details if put in the wrong hands. Notify your bank and credit card companies of your travel plans. Many such companies now place freezes on accounts when they see suspicious activity like out-of-country use as a means to prevent fraud – it’s easy to avoid this inconvenience! Don’t post any vacation plans on social media. It’s okay to be excited about your trip, but you don’t need to publicize it. You never know who could be lurking behind a computer screen happy to learn that your house will be unattended for a period of time. Put a hold on your mail while you’re gone. An overflowing mailbox is a jackpot for an identity thief. It not only signifies that you’re away, but thieves can then steal the pieces that contain your personally identifiable information (PII). Clean out your wallet and/or purse before leaving. Remove any receipts and expired cards, along with anything else you don’t absolutely need to be carrying with you. Keep only the credit and debit cards you know you will need to use while traveling. Less is more! Limit your use of public Wi-Fi as much as possible. While these networks are incredibly convenient, they are very often unsecured. This means that any information you input while connected to the hotspot could be viewed by someone else. Never access your financial account or any other sites that require a password when using public Wi-Fi. Use cash when possible and credit cards over debit cards. Travelers are often warned of the dangers of carrying around large amounts of cash. However, depending on where you are traveling, some merchants still practice questionable transaction processes – making cash a safer method of payment. In most cases though, using a credit card is considered safe. Furthermore, it’s almost always recommended to use the credit option of your card versus the debit option. If your card numbers ever get into the wrong hands, most credit card companies will quickly reverse or cover fraudulent charges, while recovering funds from your drained bank account can be more complicated. Be cautious when using ATMs. Inspect the machine carefully before inserting your card. Fraudsters can attach card skimmers to the slot that capture your information when you insert it; very often, these look like they are part of the machine. Also, always shield the keypad when entering your PIN – scammers can also set up hidden video recorders. The safest ATMs to use are attached to banks in well-lit areas. Lock up valuables and personal documents at the hotel. This includes boarding passes, confirmation emails, passports, and jewelry. Even hotel staff have been known to go through rooms while they are cleaning and steal items. Everything is much more secure in a safe! Keep your phone password-protected. If you’re not the type of person to keep a password guard on your phone, make an exception while traveling. If your phone is ever lost or stolen, an identity thief could easily access banking apps and social media accounts. Check your credit card and bank statements often for any fraudulent activity. It’s best to catch fraud as early as possible so that you can take action immediately. This minimizes damage and makes resolution that much easier. Check your credit report throughout the year. Federal law requires the three major credit bureaus to provide you with a free credit report once a year. You can stagger these free reports every four months from each bureau so that you’re seeing your report somewhat regularly. Make sure you recognize everything that’s on there – if anything doesn’t ring a bell, look into it! Change your PINs and passwords after a trip. This is especially important if you logged into any accounts while on the road or accessed an ATM. Traveling can open you up to all kinds of vulnerabilities; don’t take the risk with your PINs and passwords. Make sure you properly dispose all trip confirmation emails and boarding passes. This means shredding them before tossing them into the recycling bin. These types of documents contain more information than most people think. Barcodes on boarding passes can actually contain your frequent flyer information, and other such documents reveal itineraries and other personally identifiable information that identity thieves would be happy to misuse. Lastly, now is the time to post about your adventure on social media. Now that you’ve returned, you can share all those stunning snaps you shot. We really do want to hear about how much you enjoyed your vacation! Of course, nothing compares to the peace of mind you will receive from Optima’s ID Protection Plan, which includes services like suspicious activity alerts and identity monitoring that will provide you with an extra boost of confidence when you return from a trip. Most importantly, if you do fall victim to identity theft, our 24/7 Identity Theft Resolution Service Team will work to restore your identity and prevent further damage. Learn more and enroll in Optima’s ID Protection Plan at https://optimatax.idprotectiononline.com/enrollment/. The increasingly connected world brings new conveniences that greatly benefit our everyday lives. 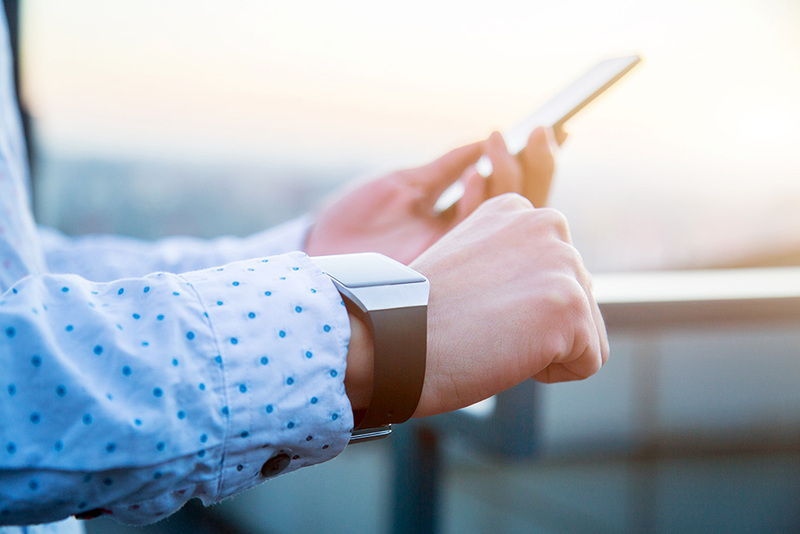 No new connected device seems more ubiquitous than wearable devices – nearly 33 million were in use in the U.S. in 2015 by an estimated 20 million people. Smartwatches like Pebble and Apple watch allow us to access the internet with a flick of a wrist. Wearable health tech like the Fitbit and the gadget-class favorite Jawbone help improve the livelihoods of millions. As much as wearables bring value to our lives, they also create a new opportunity for criminals to extract personally identifiable information. Like many other new technologies, security vulnerabilities in wearables are being exposed and potentially exploited. The more information that’s collected, the easier it is to identify account numbers and passwords as well as medical ID numbers and tax return data. Better understanding the individual’s routines and habits ensures that criminal activity will go unnoticed for longer periods of time. Most wearable devices use an accelerometer and gyroscope to track forward motion and directional orientation. Some even contain an altimeter to measure altitude for hikers and climbers. All of this data is crunched into code that orients the user’s specific location and tracks their activity – sometimes down to a few inches. Shockingly, new research found that ATM PIN codes could be discerned from the data in wearables’ sensors with 80% accuracy on one try and 90% accuracy after three tries. 56% of wearable owners use their device to access corporate applications such as Outlook, Dropbox, and Salesforce. While the sample size was small, the survey was conducted at the RSA Conference, one of the world’s largest gatherings of information security professionals. If those on the frontline of data security leave their personal and corporate data at risk, it’s easy to imagine that the population at large may be even less cautious – jeopardizing their identities and your corporate data security. Opt-out of automatic data transmission that will continually upload information via Wi-Fi or other networks. When using a Wi-Fi, stick to known and/or secure networks. Enable passwords and change them regularly. If available, use two-step authentication. Physically secure the device if it’s not in use. Particularly, when traveling, utilize hotel safes. Take time to learn how to remotely erase data so that the device can be “cleaned” if it’s lost or stolen. Make sure to regularly update the operating system in order to patch known security gaps. Looking for ways to minimize your risk of identity theft? Maintain a peace of mind while using your wearable device by enrolling in Optima’s ID Protection Plan at optimatax.idprotectiononline.com. Spring is in full swing with its longer and sunnier days, and for many people, it is time for the annual spring cleaning to disentangle their homes from the build-up of wintertime clutter. However, much of that “clutter” can be pure gold for an identity thief. Junk mail such as credit card offers and unsolicited loan pre-approvals are chock full of valuable information about finances and lifestyle. Virtual clutter is also a target – unsecured and unorganized computer and smart phone data can be mined. Paperwork. Decide which documents need to be saved and then file them in a secure location. Unwanted items that contain personal information should be shredded, including receipts, bank and credit card statements, credit card offers, medical records, and health insurance statements. Computers. Organize personal information and documents into password-protected folders. When deleting old or unneeded files, make sure to regularly empty the computer’s recycle bin. Ensure that all anti-virus software is up-to-date and run a full scan to ensure that the computer is free of viruses and malicious software. Smartphone. Enable the phone’s password-protection features and only use secure networks, especially when using online banking or other apps that transmit sensitive information. When upgrading to a new device, wipe the old phone’s memory and restore to factory settings. Wallet and Purses. Shred old receipts and outdated credit cards. Remove everything that isn’t necessary on a day-to-day basis – especially a Social Security card. This spring, you can make sure you’re keeping your identity as clean and secure as possible by enrolling in Optima’s ID Protection Plan at optimatax.idprotectiononline.com. 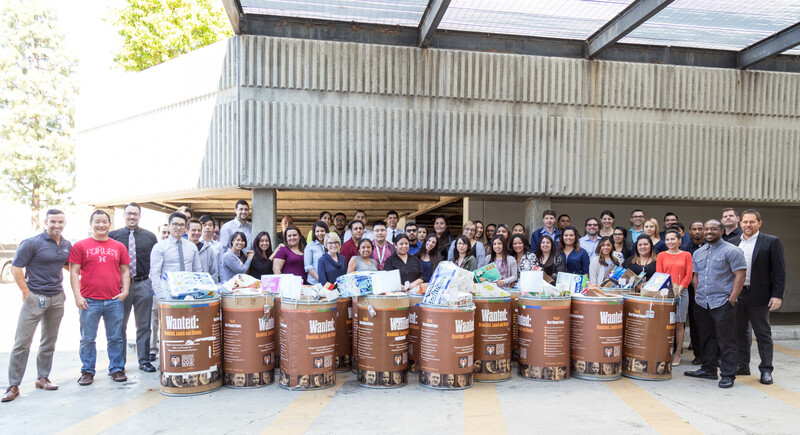 Cheers to the completion of another successful food drive supporting the Second Harvest Food Bank of Orange County! Our staff set an all-time record by donating 3,500 pounds of food and household supplies, beating the previous record of 2,000 pounds set by our staff last year. The wonderful people at Second Harvest informed us that our donation will provide for over 2,800 meals! We’re truly honored to be able to partner with Second Harvest to make this food drive an annual tradition and an important part of our culture at Optima. Of course, our donation is just a drop in the bucket when compared to the enormity of Second Harvest’s mission. In Orange County alone, Second Harvest serves over 300,000 people, a third of which are children, who struggle with food insecurity. To learn more about their amazing organization and how you can help support them in their fight to end hunger here in Orange County, visit Second Harvest’s website at feedoc.org and be sure to “like” them on Facebook at facebook.com/SecondHarvestFoodBankOC/. There you’ll see the vital programs they run, such as the Kids Café Program, the School Pantry Program, the Senior Grocery Program and much more. And if you live outside Orange County and want to support the local food banks near you, simply visit feedingamerica.org. There you can look up the non-profits and food banks that are doing this important work in your community. Together we can end hunger!